"... Ok guys, to clear things up this is a post-workout recovery AND testosterone booster. Works quite well in fact this is my 3rd bottle. First few weeks you'll notice the better recovery and then the strength, size gains start to come as well. Be sure to keep your protein intake high and train hard. For those wondering, the main ingredients that make it work are HICA and DAA." "... Is a post cycle needed to raise your natural test with this product?" This is not a test booster, it's a pre-workout energy supplement. You testosterone levels will not be effected. This is NOT a pre-workout energy supplement, not at all! It's for recovery, it actually spells that out on the bottle. There's no caffeine or energy in this. 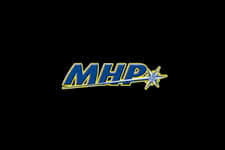 Taking the new phase of Cross-Training Workouts to new levels with MHP supplements! 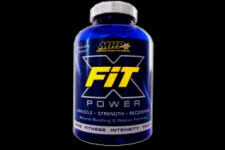 MHP supplements has taken recovery supplements to a new level with X-FIT Power! Designed for high intensity training programs, it is also very much effective for regular workouts as well. X-FIT Power will help you recovery like never before to truly push your strength and muscle gains to the next level. Experience peak physical fitness and avoid the early onset of soreness so you can push day after day. Turn your anabolism levels into overdrive with X-FIT Power today! Be sure to stack it with X-FIT Trainer for one of the industry's most effective pre-workout formulas around. Check back with fitFLEX for your latest real life reviews and post your questions to stay on top of your progress! Finally Experience Real Results from Every Workout with MHP! 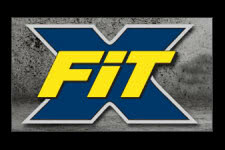 Turn off Catabolism & Muscle Soreness with X-Fit Power!